Hi, I'm new here. I am doing drawings of NovaBUS LFS buses from different transit agencies in Canada and the US, including the airport, university shuttles and the Ottawa Paramedic Services LFS. P.S. : I really love New Look buses, but I like drawing the LFS. 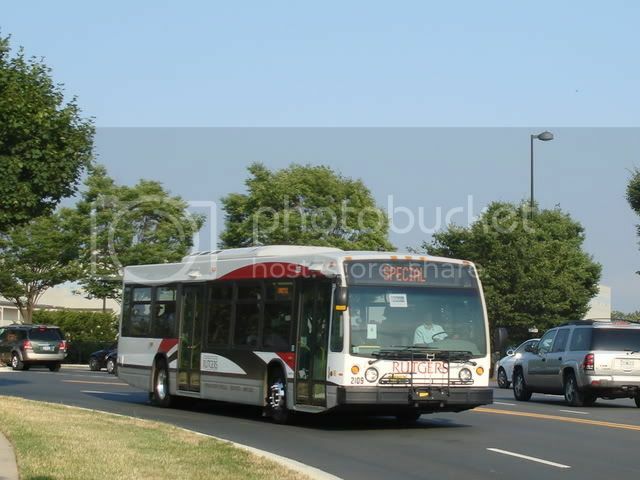 I also have a photo of a GCRTA (Cleveland) LFS, but again it's a driver side shot. Thanks, I've already drawn the Kenosha LFS, but the Cleveland one is a start. 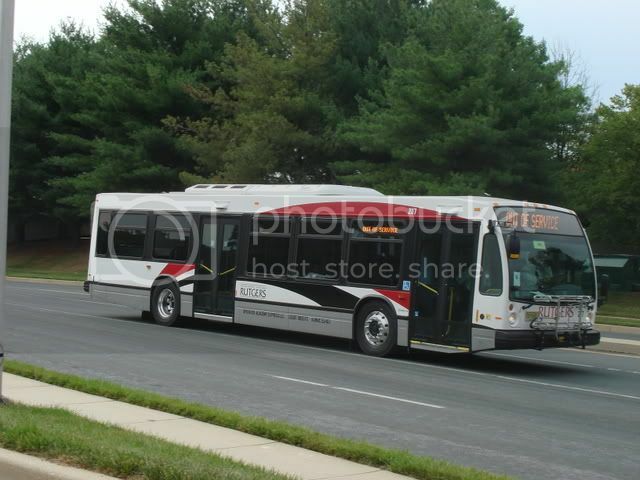 I have just these Rutgers pics when they came to Bethesda, MD do shuttles for Tiger Woods tournament this past summer. I think I may have a shot of the rear end too. I'll check my hard disk when I get home and post it if I have it. Thanks Jim and Waynejay. 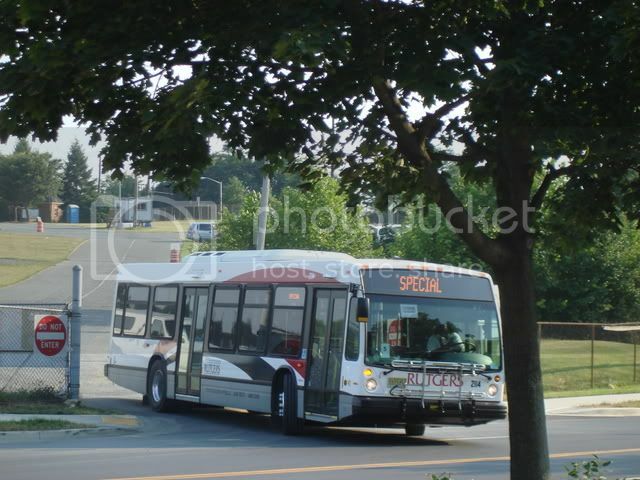 The Rutgers LFS, I sent an e-mail to the university and they sent me driver's side shot of one of them. Thanks. Thanks again for the pics, guys. 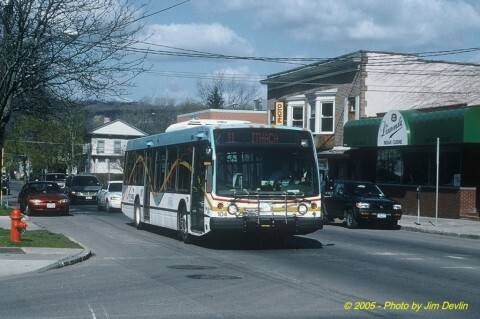 For the other transit systems, don't be shy, I won't post them on my site. Just for fun, I started a "What if?" file. See, I have four main LFS drawings files: Demos, Canada, US and Airport/University shuttles. So I decided to create a "What if?" file. Meaning what if, for instance, the MBTA would have 2007 LFSs, what would they look like? I did two last night, an MBTA, numbered 1000 and a MARTA one, numbered 2701. Since I'm not the author of the original Nova LFS drawings (Peter McLaughlin is) and that I keep them for private viewing, those of you that want to see what they look like, PM me and I'll send them to you by e-mail with the promise not to publish them. I believe I have a Charlotte Transit LFS paperbus I drew not too long ago. I'll send it to you. Give me your email by PM.